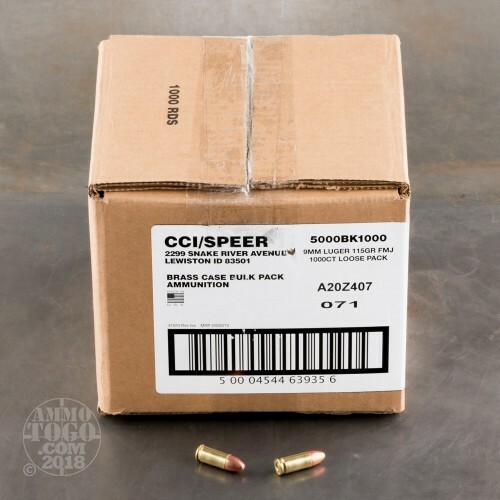 This 9mm CCI Blazer Brass ammo is the brass cased quality ammunition. Each round comes with a new-production brass casing that is Boxer-primed and non-corrosive. These cartridges are loaded with dependable CCI primers and clean burning powders. CCI tops each cartridge with a 115gr. 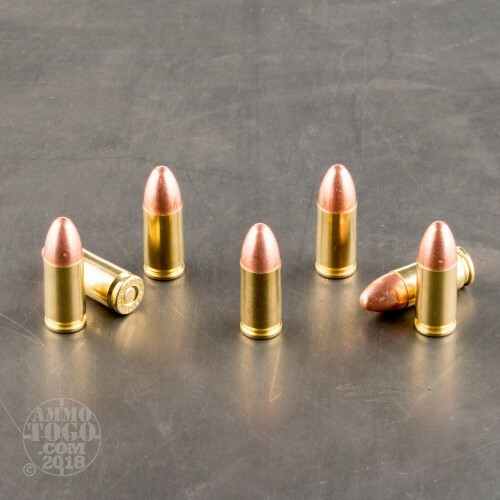 full metal jacket (FMJ) projectile that vacates the muzzle at approximately 1145 fps. 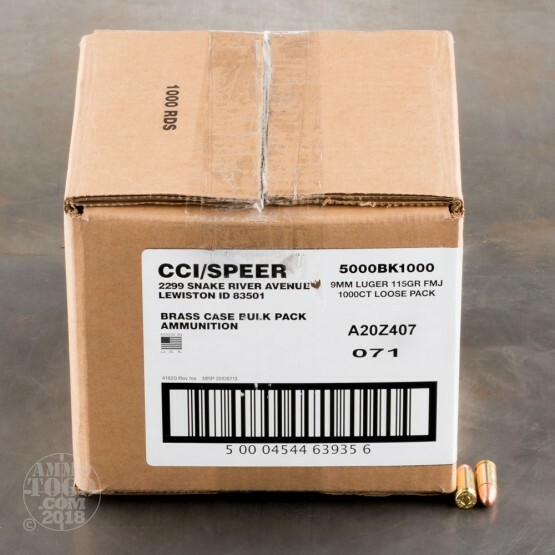 American shooters have trusted CCI's Blazer line of ammo since its release in 1981. 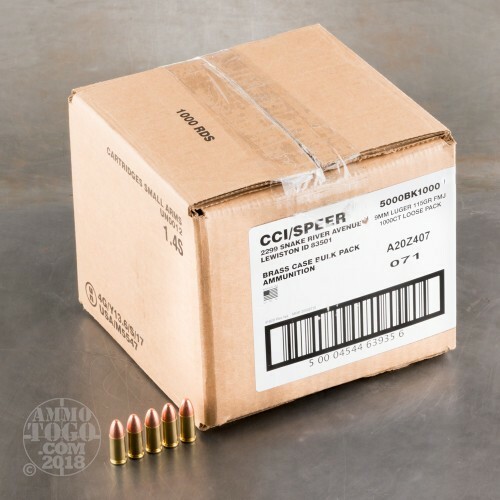 By adding a brass option, CCI has trumped up the value of their popular Blazer ammo with the ability to reload their factory-fresh casings. This ammo is available in 1000-round loose pack cases.